An “excellent pianist” with “titanic force” (New York Times), Adam Marks is a soloist, collaborator, curator, and educator based in New York. 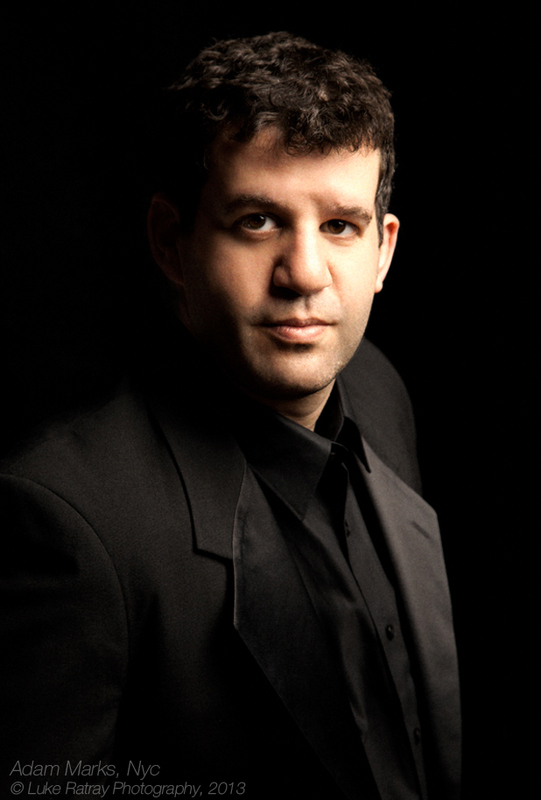 He has performed at venues including Salle Cortot, Carnegie Hall, Miller Theatre, Logan Center for the Arts, the Isabella Stewart Gardner Museum, Millennium Park, Ravinia, and Davies Symphony Hall, and appeared as soloist with the Mission Chamber Orchestra, Manchester Symphony Orchestra, the National Repertory Orchestra. A laureate of the Orleans Competition (2008), he has recently been presented in recital in Brazil, Singapore, France, and Croatia. Adam is the co-director of Artists at Albatross Reach (AaAR), an arts residency/incubator in Gualala, California, which he co-founded with vocalist Jennifer Beattie. They have crafted a unique collaborative process to develop multidisciplinary works and foster experimentation, establishing a rich environment for community members and local artists to explore and participate in making art. Recent pieces to emerge from AaAR include Thelonius Monk Award winner Jon Irabagon’s evening-length work for mezzo-soprano, mezzo-soprano saxophone, and piano, to be premiered at National Sawdust in June 2018, and the Black Queen Project, a co-creation of Albatross and composer Juraj Kojs based on the life of 15th-century Queen Barbora of Celje, to premiere at MDC Live Arts in Miami in September 2018. Marks is also the first non-local curator for the San Francisco Center for New Music, where he presents innovative soloists and ensembles from across the country. A versatile performer, Adam Marks has toured extensively with Eighth Blackbird, has appeared with Pittsburgh New Music Ensemble and Fireworks Ensemble, and worked with artists including Matt Albert, Adam Tendler, and Margaret Lancaster. He has also collaborated with filmmaker Jenny Perlin on Blooming Colors at the Whitney Museum (2017), and made his off-Broadway theatrical debut in Fiasco Theatre’s critically acclaimed revival of Into The Woods at Roundabout Theatre (2015). Also a committed educator, Adam specializes in teaching public speaking and creative presentation for musicians along with traditional performance workshops. Since 2006, he has been an Artist-In-Residence with the Yale College Department of Music Composers’ Seminar. He has held faculty positions at Carthage College and NYU, and was a founding faculty member of New Music On The Point and the Fresh Inc festival. He has given lectures and masterclasses at Yale, The Juilliard School, Manhattan School of Music, Northwestern, Mannes, SMU, CU Boulder, The Colburn School, the LaSalle School for the Arts in Singapore, and the Zagreb Conservatory. He holds an undergraduate degree from Brandeis University, a Masters in Piano Performance from the Manhattan School of Music, and a Ph.D. in Piano Performance from New York University. His teachers include Sara Davis Buechner, Anthony de Mare, Donn-Alexandre Feder, Evan Hirsch, and Lois Banke. Adam proudly plays Yamaha pianos and Schoenhut toy pianos.